Where in the world have people abandoned paper money entirely? 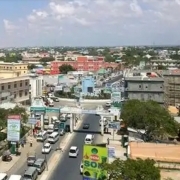 It is not Silicon Valley and not Singapore but, of all places, Beledweyne, the capital of Hiiraan region of Somalia. Since November 2017, the Somali Shilling has not been used in Beledweyne. Mobile money and hard currency US dollars are the only acceptable modes of payment in the market. Although the understanding and literacy of the majority of the residents in using mobile money is low, the community in Beledweyne have no other option but to use mobile technology and US dollars for daily transactions. The EVC Plus Service of Hormuud Telecommunications Company and E-Dahab of Somtel Telecommunications Company provide the only acceptable electronic money in the city. The main cause of the rejection of the Somali Shilling in Beledweyne was the injection of relatively new ‘forged’ currency into the market. 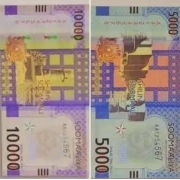 Unlike Mogadishu and many cities in southern Somalia using only older, non-divisible and increasingly worn-out 1,000 Somali Shilling notes, there was no separation of currencies in Beledweyne; both the old Somali Shilling notes and newly printed Somali Shilling notes from Puntland were used in the city. This was related to the strong transport and business links between Beledweyne and the port city of Bosaso. The increasing exchange of the new Puntland notes for US dollars and the older Somali Shillings, however, prompted local inflation, growing distrust for the Somali Shilling in any form, and resentment towards Puntland authorities responsible for printing the new currency. The printing and import of Somali Shilling is not a new phenomenon in Somalia. It has occurred repeatedly over the past 25 years. What is new is the complete reliance on mobile money as a result of an injection of new Somali Shillings. Owners of small-scale businesses in Beledweyne started to refuse the newly printed Puntland notes. This was later compounded by an al-Shabaab order banning the Somali Shilling notes in the city in July 2017. Since then, the use of Somali Shilling was completely stopped in Beledweyne. While the business community made efforts to re-introduce the Somali Shilling, local and regional authorities have shown little interest or competence in resolving the problem. Mobile money transactions require the possession of a mobile phone, a sim card and access to mobile signal, power to charge the phone, and basic literacy in order to use the device. Often nomads have no electricity facilities in their villages, so they cannot charge their mobile phone – now their only method to buy basic commodities. For those that do possess a mobile phone, mobile money systems remain relatively new to a significant portion of the population of Beledweyne. Many people, and especially the elderly, the young, the illiterate and those from the countryside bringing agricultural products and livestock to the city experience difficulty in sending mobile money. The living conditions of particularly vulnerable communities have become even tougher. For example, beggars often carry pieces of paper with a telephone number written on them when asking for support. Young shoe polishers charging 10 cents for each pair of shoes they polish cannot confirm whether funds sent to a relatives’ phone for them have been received or not. Accidentally sending the wrong sum of money via mobile technology remains a problem. Given low literacy levels, it is easy to send 10 USD when trying to send 10 cents and vice versa. 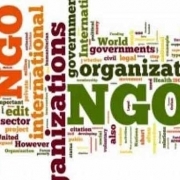 The government – federal, state and local – have made few if any attempts to monitor or manage the flow of money in Beledweyne. 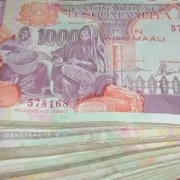 The local and regional administrations were asked by the business and civil society groups of Beledweyne to resolve the matter and start collecting taxes with Somali shilling though efforts failed. Repeated turnover of regional and district administrations in Hiraan have only compounded the problem. The only real efforts to restore the use of the Somali shilling were made by private companies. Somali Shilling notes were brought from Mogadishu by private companies to inject back into the economy, but distrust in the currency persists. The city therefore remains dependent on the functions of private telecommunication companies. As such, when the networks face technical problems, the entire city is affected. The people in Beledweyne will be among the first to welcome the printing of a new currency in Somalia. 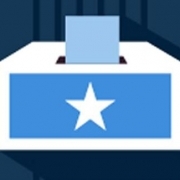 However, as Somali Public Agenda contended in a commentary, there are systematic barriers that would make the printing of a new currency futile. The security, political and bureaucratic challenges must be mitigated before printing a new currency for Somalia. Waiting until a new currency is printed is not an option to the community in Beledweyne. However, there are approaches and steps that can be taken to mitigate the currency conundrum in Hiiraan region. First, the local and regional administrations should act to ensure newly printed Puntland Shilling notes do not enter circulation again while encouraging the use of the older Shilling notes. Second, the Hiiraan regional administration should encourage the collection of tax from its Beledweyne checkpoints in Somali Shillings. Similarly, the local municipality should lead by example and be the first to start accepting the Somali Shilling again, and encourage the business community to do the same. Further, an awareness campaign should be started in parallel with these efforts. Local media should be used to encourage the public to use the Somali Shilling. Third, until the Somali Shilling is trusted and exchanged again in Beledweyne, telecommunication companies could be asked to put a lower limit the amount of money that can be used for mobile transactions. The companies could make 0.5 USD the smallest amount that can be used for the mobile transaction. This would mean that all transactions that are less than 0.5 USD will require the use of Shillings. For instance, if one buys a product value of 0.2 USD, the person sends 0.5 USD and would receive the remaining 0.3 USD balance in Somali Shillings. The currency conundrum in Beledweyne demonstrates the fragile and weak situation of Somalia’s public institutions at different levels. It offers a good example of how strong, responsible and effective local governments are crucial to the betterment of society. The people in Beledweyne are desperate for a government that can handle this crisis. Juwhar.com	Is it the time to print a new currency for Somalia?